A nice low growing dahlia. 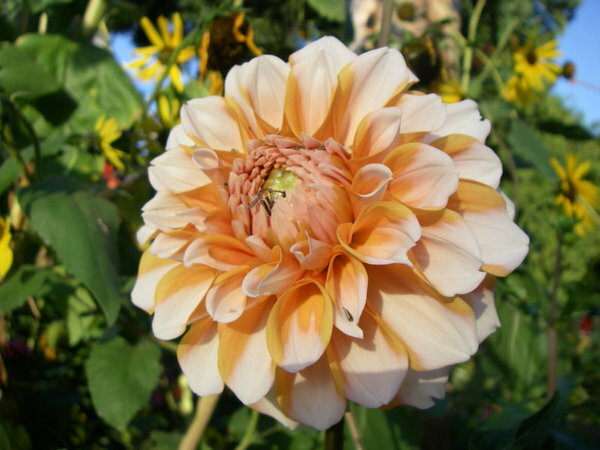 Petals have white tips with orange centers. Good cut flower.